Quali-Dent is committed to providing the best dental care for all our clients regardless of their developmental or other special health care needs. The Academy of Pediatric Dentistry defines persons with special health care needs as individuals who have a physical, developmental, mental, sensory, behavioral, cognitive, or emotional impairment or limiting condition that requires medical management, health care intervention and/or use of specialized services or programs. If the individual is not capable of self-care, it is essential that people who are in daily contact with the individual become engaged in the prevention of dental disease and other aspects of the individual’s oral health care. We are experienced in treating those with special needs and welcome the opportunity to diagnose and fix any dental problems that may arise. We have enjoyed many referrals from outside the region, helping us to develop our expertise. Our reward is forming life-long friendships with special needs patients and their care givers. By establishing our office as your dental home, our special needs patients learn individualized preventive oral health practices which significantly reduce their risk of preventable dental/oral disease. 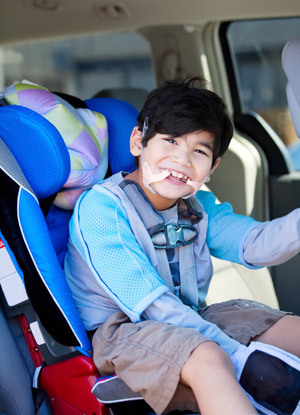 The oral care of special needs patients will be identified and may be referred to the appropriate dental specialist who also works with the special needs population.